How can I effectively reduce the field-of-view of an infrared sensor? 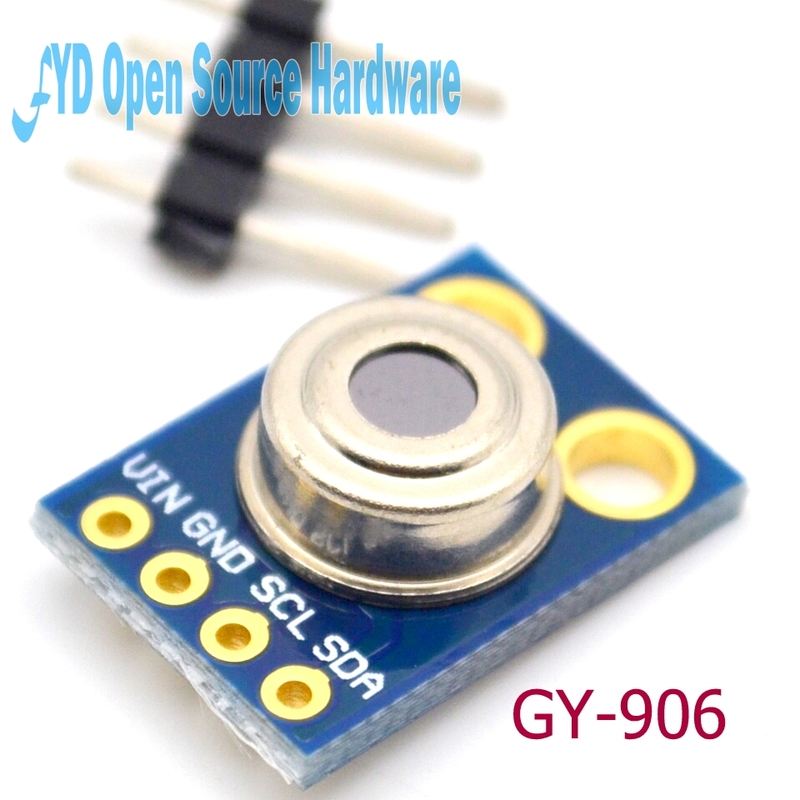 > How can I effectively reduce the field-of-view of an infrared sensor? 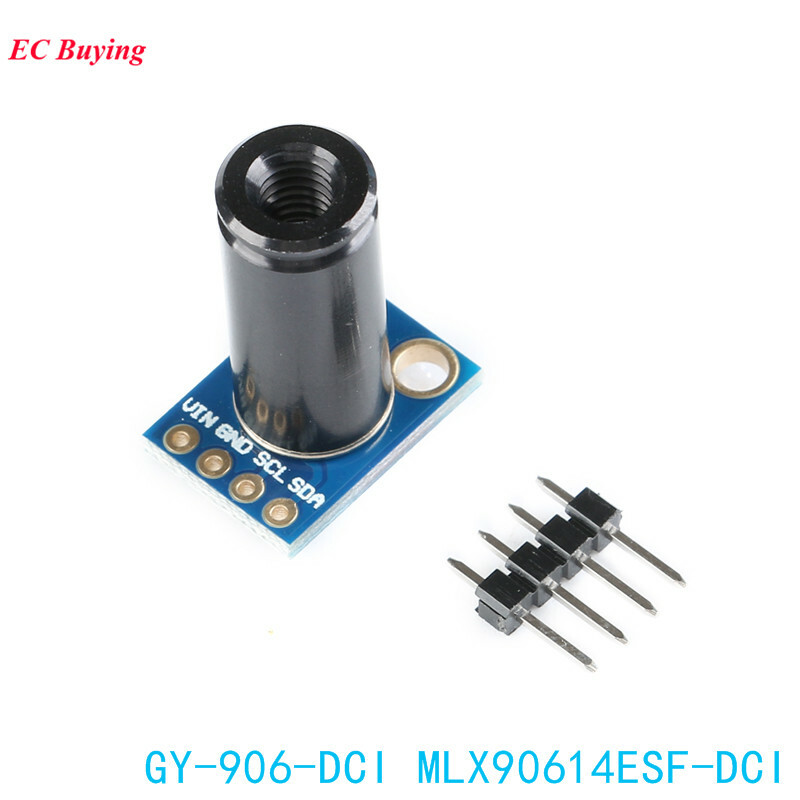 I have a GY-906 breakout board with a MLX90614 infrared sensor that I want to use on my robot to detect humans and animals at range by comparing the ambient temperature and the temperature of object in front of the sensor (both measurements are provided by GY-906). Problem is, this sensor has a wide field of view, and it's object-temperature measurement is the average temperature of everything that is within that FOV cone. Meaning that it becomes unreliable to detect a heat source (such as a hand) more than 20-30 cm away, because it only takes up a small part of it's field of view. What I want to do is reduce the field of view of this sensor, so that it takes measurements within a cone of just a few degrees, and in effect, would be able to detect changes in temperature much further away. Problem is, it costs 5 times more than the one I have, and I'm kind of reluctant to spend that much money when IR sensors are pretty damn expensive to begin with. I can't find a datasheet to determine what kind of tube this thing has on top, and I'm wondering if this is something that I could make myself. Something that would limit the field of view. I tried out simple things like using a straw or a rolled strip of paper to make a tube and put it on the sensor I have, but it seems to raise it's object detection temperature, and the sensor doesn't detect much past the end of the tube. Can anyone give any suggestions how to achieve this? Re: How can I effectively reduce the field-of-view of an infrared sensor? as its a clean metal surface with no paint, anodizing or other surface layer. Is that all that is needed here? Just a metal tube? No lenses or anything? Lenses are difficult to make in the sort of passive IR frequencies you have here. Look at the Fresnel lens that are used to make a wide angle field of view for PIR intruder alarms. ebay has parabolic reflector cigarette lighters. get one, put a stick in it see where the stick burns. that is the focal point. put your sensor at that point, and put the reflector in a PVC tube to exclude IR coming in at an angle. this is my plan for a long distance break beam sensor. I will tell you how well it works in April or May. this is my plan for a long distance break beam sensor. IR for passive heat detection 8-14 micrometres, that is 8000nm to 14000 nm which is closest to the infrared radiation emitted by humans. So a whole order of magnitude out, things are very different there. Thank you for your answers. But how can I determine what kind of lens I need to buy to have the range and field of view that I need? But how can I determine what kind of lens I need to buy to have the range and field of view that I need? Basically you can't. I would be surprised if such a thing exists for you to buy anyway. What has this to do with Audio? Why is it in the Audio section!? I mistakenly put this topic in the wrong section, and I don't know how to fix it... Sorry. In my original topic, I posted a link to a product that already has such a lens... Problem is, it is very expensive (compared to the sensor I have). Which is why I'm hoping to mitigate the cost by making something similar myself. You click on the report to moderator on the first post and ask him to move it. That wavelength of light will not go through glass so how do you propose to make one yourself? Why did you think it was expensive? Yes the sensor is the cheapest part.